Easy to slip on and off, this fun pearl cuff bracelet is packed with abundant style. 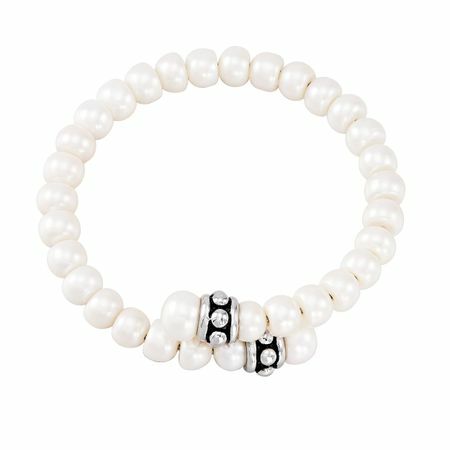 The coil cuff design features 7-7.5 mm freshwater pearls all the way around. Finishing details include and sterling silver pallini trim ends with 8.5-9 mm freshwater button pearls. Piece measures an adjustable 7 inches in length.